The events industry is an exciting, innovative, diverse and highly challenging environment in which to work. Event Planning and Management offers a structured, practical approach to all types of events, from the initial planning, to final evaluating stages. 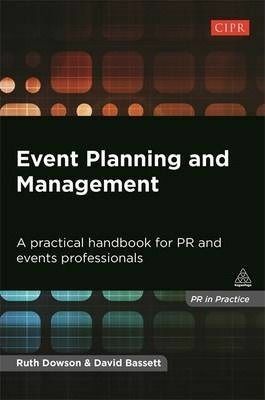 It introduces the key models and theories but focuses on the practical side of building and working with a team, choosing a location, creating a programme, dealing with stakeholders and sponsors, promoting the event, essential financial and procurement considerations and finally evaluating the event.